← That road – dejà viewed. Part 4: the journey’s end. I love the idea of secret gardens. Valleys unlocked by a spell. Mountains where dragons lie hidden. Places where magic happens. Where the sun beams down on gentle hills from a forget-me-not sky. Where a crescent moon casts a silver light on a gentle sea by night. Where nightingales sing and the scent of violets perfumes every breeze. Enchantments for a prosaic world. But I hate being told secrets. Knowing things I’m not supposed to know. A confidence from one friend meaning I can’t console another. Secrets I’ve sworn myself to keep – because confessing would hurt a loved one more than keeping it hidden forever. Secrets like that are burdens. I’m good with that kind of secret, even if it pains me. I find it hard, though, not to tell the world about places that – be honest – I don’t really want them to go. But the other day, at one of my favourite places, I had some help from an unexpected quarter. 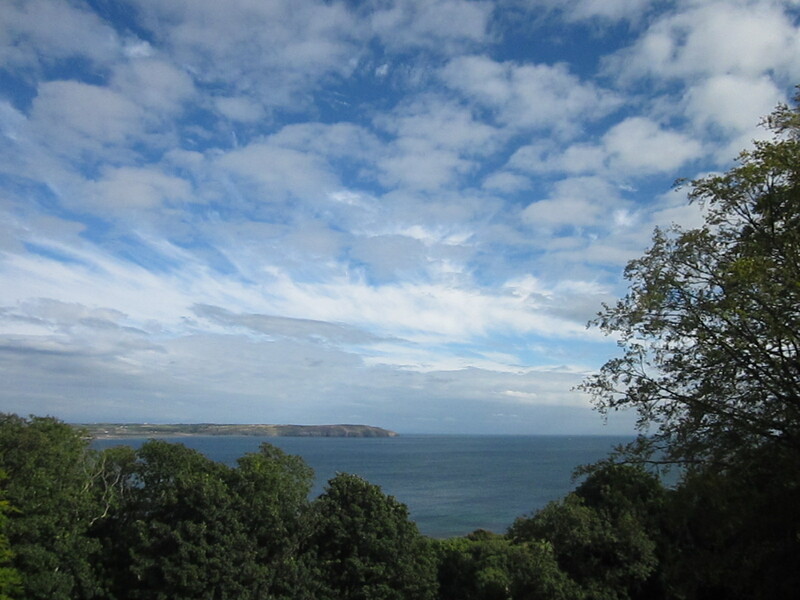 …We’re driving west along the north Wales coast. Ahead, forbidding grey shapes stand stern, gateposts to a hidden world, locked by a spell. The open-sesame’s simple – ignore the sinister mountains, their ‘abandon hope all ye’ intimidation. Persist. The sharp grey shards will turn into hills of green and gold as you draw near, welcoming you in. Before you know it the Llyn peninsula has opened up before you. A secret world. Sort of. And beautiful as can be. I’ll share a picture, to prove it. We settle in at our seaside cottage. Wake early. 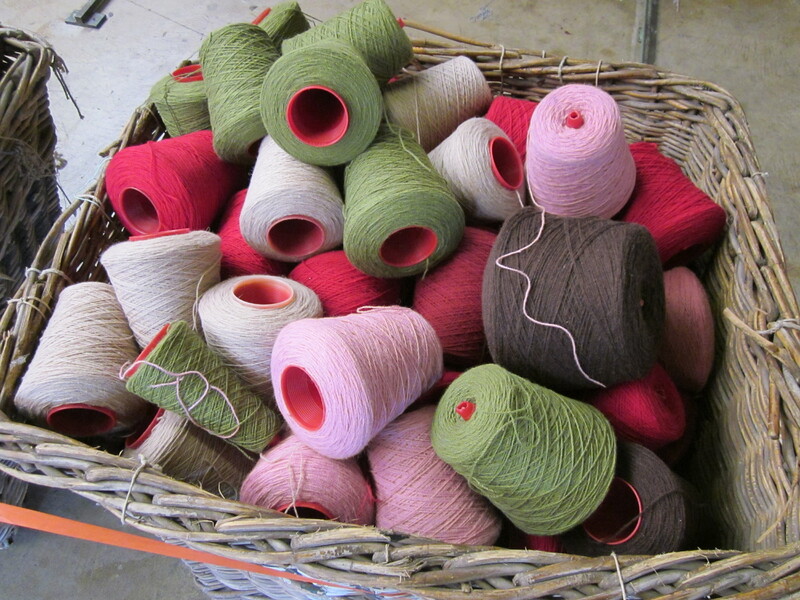 Decide to visit a woollen mill. I can’t resist old mills – anywhere things are made. So this is a treat. But the mill doesn’t want to be found. It’s named after a place that’s marked on the map – but that’s not where it is. That would be too easy. The signs on the road – embellished as they are with red dragons – have been placed for maximum obscurity. And Anthro-man’s innate – and normally accurate – personal navigation system has been scrambled. By wizards, we reckon. But somehow, after many wrong turns, we make it. And we step inside, the only work-shy tourists here, to the sound of clacking machinery. Around the corner I spy through a window that the mill wheel’s working. Never seen that before. I take a little video – just a few seconds – capture a bit of its life. Everything’s photogenic. Old looms waiting to be brought to life, rusting wheels hanging from roofs, yarns stacked on shelves, boots and clocks and bells. Pictures worth a thousand words – well, maybe five hundred. Then I see the sign. We clamber two flights of very steep steps to the shop. It’s quiet. Closed at weekends – and on bank holidays, like the mill. No tea room. No lavatories. No honey or fudge for sale. Blankets and cushions. Ties and scarves. Throws. And socks. Thick, fibrous socks. We’re in the market for a pair, size 11 (not mine) and a bedspread woven from undyed wool. A woman appears, like a character from a Bronte novel. Silent. Hands together, one on the other, in front of her midriff. Fool that I am I think she’ll understand. ‘Is it for health and safety reasons?’ I persist. No point telling her I only want to write kind things. A man we recognise from previous visits emerges and we try to put some enthusiasm back into our shopping. Leave with our bedspread and size 11 socks. Loath to let it spoil the day I talk myself through it. Think about the many discussions we’ve had these past few years. About companies making bigger and bigger profits. People taking grosser and grosser bonuses. Is it all the fault of shareholders, as some in the media say? Or is it simple greed? Greed of bosses. Greed of shareholders. Greed of people who’ll buy any rubbish dipped in chocolate now Cadbury’s been globalised beyond all recognition. I think about that anxious woman who runs an old, gem of a mill. 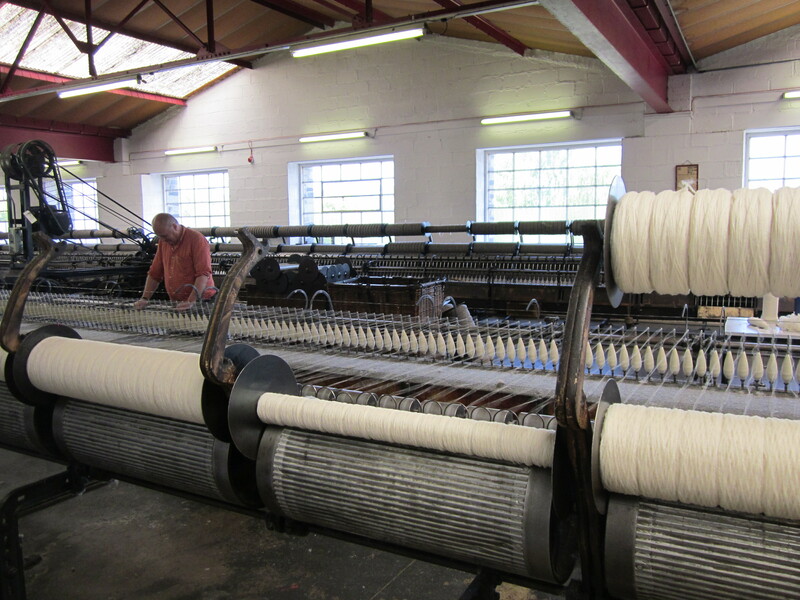 A mill that uses only Welsh wool, despite temptation from New Zealand. A mill that’s set in a location that possibly doesn’t exist, protected by spells. That makes no concessions to this mercenary world. And although I’m a little peeved about the pictures, I respect the way she feels. Enough – is enough. Enough that the mill will carry on for a good long time to come. I’m not going to tell you its name. But I will tell you it’s not Trefriw. 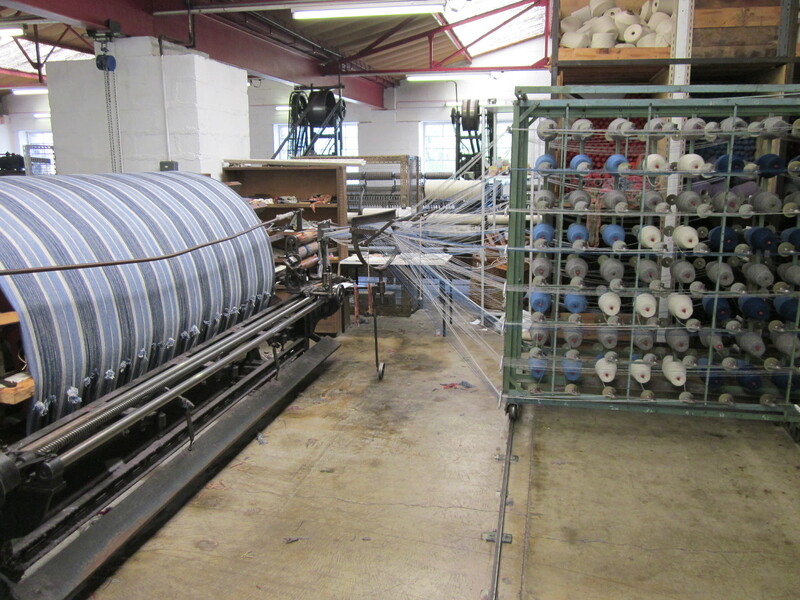 That’s the other working woollen mill in northern Wales. Trefriw has a tea room. Sells fudge and honey. Has lavatories – his’n’hers. I love Trefriw too. It’s just – different. Not secret. Findable without an abracadabra. To prove it, I have pictures. Three of them. But promise me, once you’ve finished reading this, you’ll forget all about the Llyn Peninsula. Or I’m afraid I’ll have to loose a plague of boils on you. Or toads. Or both. This entry was posted in Llyn Peninsula, Thinking, or ranting, or both and tagged Llyn Peninsula, magic, North Wales, red dragons, secrets, spells, Trefriw, woollen mills. Bookmark the permalink. Ha! No boils for you then. More pics to come (including one directly to your door). I can sort of understand their point of view to be honest and in a way it is refreshing to find a business that wants to remain clear of the internet and be ‘secret’. Yes, I find it refreshing too, but worry just a bit that a fantastic traditional craft and mill will die a little more if they don’t do even a tad more to promote it. But then, perhaps there are lots of people like me who visit and want to keep it selfishly secret but can’t help telling everyone! A very cunning marketing plan. Re the Llyn – if you haven’t been for years then think about a re-visit – it’s just heavenly, especially if the sun shines! I too remember truly happy holidays from many of my childhod years growing up in Lancashire. A week was not enough – so much to do and see – and not do! Kind things. Funny, just this morning, in a review of a radio play by Tom Stoppard, inspired by Pink Floyd’s “mega-successful ‘concept album’ The Dark Side of the Moon” (I’ve never actually heard Pink Floyd – yes, really) I read: “Tom Stoppard makes us think. ‘We are natural-born to kindness. Which meansto act is of our kind, as kin to kin, as kindred. Which is to act kindly” says one of his characters. Just so. But then (not so wrong rant), “Why, then, do we turn against nature, which then will turn against us? ‘We consume everything. we’re dying of consumption'”.